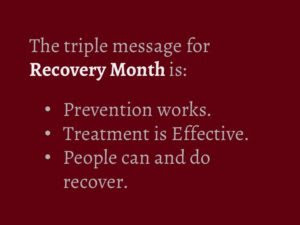 "September is Recovery Month" | ZiaPartners, Inc. In Memorium: Christopher Kennedy Lawford, 33 years sober. Approximately 21 million Americans ages 12 and up dealt with a substance use disorder in 2014. People in long-term recovery tell their story best. Greg Williams stopped using alcohol and other drugs when he was only 17-years-old. You can see his story here. The Betty Ford Center defines recovery as “[a] voluntarily maintained lifestyle characterized by sobriety, personal health and citizenship.” Recovery is clearly more than the absence of alcohol or other drugs in one’s life. Watching people work to complete a drug treatment court or a behavioral health court program reveals how difficult a struggle it is. The road to recovery is seldom a straight path but, rather, one filled with twists and turns, potholes and distractions. Click on the box to tweet the important message! Relapse prevention is often part of treatment’s curriculum and for good reason. While using is part of relapse, it is not uncommon for use episodes to occur. 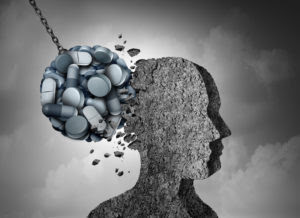 If that happens, it is imperative that corrective action be taken immediately and that the person return to treatment and follow their recovery plan. Help your loved one follow all treatment recommendations. While we celebrate the 23 million+ Americans living in recovery, we must not lose sight of those still struggling with these disorders who are losing their lives every day. Last year more than 72,000 people died from opiate overdoses. When you add in deaths caused by alcohol and impaired driving crash statistics, there is much to mourn. How will you recognize and celebrate Recovery Month? This entry was posted in Discussions and tagged Peggy Hora, Recovery, SAMHAS. Bookmark the permalink.